In the discipline assessment of educational ministry, the first-level discipline of surveying and mapping science and technology in SWJTU is ranked 6th. In this discipline, there are three sub-disciplines, i.e. surveying engineering, photogrammetry and remote sensing, cartography and geographic information engineering, and postdoctoral scientific research organization. The sub-discipline of cartography and geographic information engineering is state-level key discipline (training) and the sub-discipline of surveying engenerring is province-level key discipline. In this discipline, some research work has been conducted, such as precise engineering surveying, permanent scatterer radar interferometry, navigation and location services, multi-dimensional dynamic GIS. There are 179 research funded projects in this discipline direction in the past four years and the sum of research funding is 26.5 million Yuan. These projects contain 97 research projects ( 17.4 million Yuan ), and 45 state-level projects such as chinesch 973 plan and 863 plan, and 33 projects funded by National Natural Science Foundation. Some awards including four province-level first prize, seven second prize. More than 17 papers .and four monographs and textbooks are published. Theory and method of precise engineering surveying of high-speed railway: the precision requirements of survey control network and data processing approaches for high-speed railway are proposed. The concept of ″Triple Play″ is given. The first Chinese ″specifications for survey engineering of high speed railway″ is formulated and implemented. A theoretic foundation of control surveying of Chinese high-speed railway in China are built. Three-dimensional tidal deformation of the solid Earth accurate to the level of sub-millimeter had been firstly determined using GPS observations. The effects of the mantle’s lateral heterogeneity on body tides are also firstly founded. This newly observations provide important constraints to the structure of Earth’s interior. Navigation and location cloud services based on ground based augmentation and multi-constellation fusion: on the basis of WEB and VRS, Service platform of Enhanced Reference Station Network with China's first self-owned intellectual property has been developed. This platform can support data fusion and positioning service of muti-GNSS such as GPS, GLONASS and BDS. It also provides centimeter-level navigation and real-time kinematic positioning service. According to the extension from network computing to center-difference explicit, the ARSNet/VENUS with China's independent intellectual property rights has been developed. Besides, the precise single point positioning up to 1cm has been developed. For the research field of geodesy and surveying engineering, five SCI papers and two monographs have been published in the last four years. Two industry standards have been edited. One achievement has been selected as the research highlights of the American Geophysical Union. Three first-class prizes, five second-class prizes and three third-class prizes of National Prize for Progress in Science and Technology have been awarded. 10 national level projects including one national high technology research and development program of China (863 program) and nine projects supported by National Natural Science Foundation of China have been approved. There are more than 30 provincial and other major projects. linear-structure deformation monitoring based on interferometric surveying: the theories, key technologies, software development and applications of linear-structure deformation monitoring based on interferometric surveying have been studied. A theoretical and technological framework of multiple temporal interferometric surveying based on networking persistent scatterer has been established from efforts of four aspects made as following. Firstly, a novel moveable artificial corner reflector has been invented. Then, an integrated layout strategy that combined natural persistent scatterers and artificial corner reflectors has been proposed. Afterwards, a freely connecting networking model has been proposed to extracting deformation information in time series. In addition, a novel large scale subsidence monitoring method based on integrated multi-wavelength data has been put forward. Finally, a persistent scatterer interferometric data processing platform has been developed. This is the first domestic software platform with independent intellectual property, which filled the domestic gap in this field and played a key role in a series of national important construction projects. High resolution remote sensing data processing and information extraction: a feature detector with scale invariance, a local feature descriptor and a geometric structure similarity metric have been developed using phase congruency. An efficient coarse-to-fine automatic registration approach has been proposed. Besides, the classification algorithm of topic model under the pixel samples marked partly has been explored. Unmanned aerial vehicle (UAV) low altitude remote sensing: as the quick acquisition and processing of spatial data play important roles in the safety early warning and monitoring of the railway or high-speed railway, key technologies and products related to UAV remote sensing have been developed. A rough framework of quick acquisition and processing of UAV low altitude remote sensing data has been built. For the research fields of Science and Technology of Remote Sensing, nine SCI papers, two monographs and one translated book have been published in the last four years. More than 30 EI papers have been published. Four patents have been granted. One first prize, two second-class prizes and one third-class prize of provincial level have been awarded. We have also won more than 10 scientific paper awards or industry association awards. The approaches and technologies proposed have been successfully applied to the Wenchuan, Yushu and Lushan earthquakes, landslides, the deformation monitoring of Beijing-Shanghai high-speed railway, Shanghai-Nanjing intercity passenger special line, Hong Kong subway and etc. A set of technique of three-dimensional dynamic geographic information system: the theories, key technologies, software development and applications of digital city and virtual geographical environments are systematically explored. A true three-dimensional GIS platform was developed, and a 3D city modeling standard was firstly formulated, which were widely used in different areas such as digital city, land, transportation, defense, disaster prevention, mitigation etc. Relevant findings have been published on many prestigious journals such as IJGIS and ISPRS. 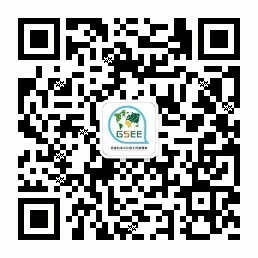 Besides, we have won the first prize of the national science and technology progress awards in surveying and mapping of China in year 2013 and 2014. Multi-scale digital map representation: "natural principle" for multi-scale spail representation and digital map generalization has been proposed. A series of geometric transformation operators and the corresponding algorithms including Li-Openshaw algorithm have been developed, which have been widely used for map production in many countries. 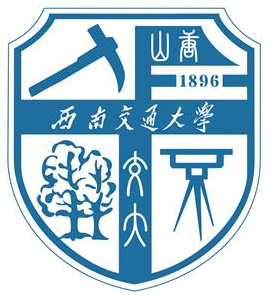 Several prizes such as the first prize of the national science and technology progress award in surveying and mapping of china, first prize of science and technology progress award in geographic information of China, second prize of national science award of China, and ISPRS society award. For the research fields of Cartography and Geospatial Information Engineering, three SCI papers and one monographs have been published in the last four years. Three first-class prizes, three second-class prizes and two third-class prizes of provincial level have been awarded. 13 national level projects including one national program on key basic research project (973 program), two national high technology research and development program of China (863 program), nine projects supported by National Natural Science Foundation of China have been approved. There are also more than 30 provincial and other major projects. In the last four years, funding of 26,550,000 Yuan for 179 grants has been approved, in which 17,470,000 Yuan for 97 grants were funded by governments. 45 national level projects including nine national program on key basic research project (973 program) or national high technology research and development program of China (863 program) and 33 National Natural Science Foundation of China (NSFC) funded projects.